In order to protect your belongings during the move, it is important to use quality packing materials. For your convenience, we stock a full range of boxes and packing supplies. If you decide to pack your belongings yourself, we have put together some easy-to-follow tips to help you achieve professional results. Expensive or rare books should be individually wrapped with packing paper. Stand records on edge (never flat). Wine and liquor bottles are wrapped and packed standing up in the box. 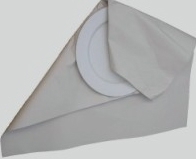 Place linens, folded clothing or cushions in plastic bags and use them for cushioning. Wrap small appliances, individually with packing papers. Small TVs and computer monitor require extra cushioning with packing paper. Always pack with screen facing sideways. Place heaver items at the bottom. Use original boxes for appliances if still available and place in large box. Use popcorn (styrofoam) for extra protection when packing a chandelier. Wrap items tightly. Use proper size box to pack item. Stand item on edge or side (never lay flat if item is fragile). Remove the light bulb, wrap the base and bulb separately. Place them together in the box, filling spaces with crumbled paper. Pack lampshades in separate box. Wrap each picture individually using paper pads. Pack pictures backing each other. Add crumbled packing paper on the bottom, side and top of the box to avoid shifting. Place cushioning material in bottom of box. Wrap each piece individually with packing paper. Place heavy, flat items such as platters and large plates at the bottom by standing them in a row on edge. Any unfilled spaces should be filled with packing paper to avoid shifting. Pack in layers. Place crumbled paper on top of each finished oayer. Horizontal cardboard dividers can be helpful in keeping layers level. Smaller plates and shallow bowls can make up another layer. Use dividers for extra protection when packing crystal, stem- or glassware. Wrap items tightly and individually. Pack on a room-by-room basis. Mark or label each box with its destination room on the top and at least two sides and list contents. Start packing least used rooms first, such as garage and attics. Pack kitchen and bathroom last. Pack all your items including lampshades (take out light bulbs), shelves in the appropriate boxes using paper pads, packing paper and dividers for extra protection. Use extra tape to securely close heavy boxes. Designate a box for essential items, which is loaded last and unloaded first (toilet paper, toothpaste and brushes, medication, snacks, coffee and coffee pot, flashlight, screwdriver, pliers, can opener, paper plates, cups, utensils, a couple of pans, paper towels, telephone and telephone book). Personally transport irreplaceable photos, financial papers and assets (bank checks, insurance policies, etc. ), legal documents (wills, passports, etc.) valuables (jewelry, coin and stamp collection, etc.) and medical records during the move. Please notify us of any items requiring disassembly and/or crating (chandeliers, large glass table tops, etc) so that we can wrap, box or crate these articles. As a safety precaution, we cannot pack, move nor store flammables such as paint, varnish, thinners, gasoline, kerosene, oil, candles, matches, bottles gas, aerosol cans, ammunition and explosives. 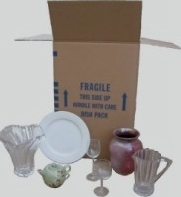 Unpack breakables over the box you are taking them out of, so that if you happen to drop an item, it will land on some packing material and reduce the chance of breakage. Allow at least two weeks for packing yourself. It is easy to underestimate the time required to pack.